Check out the latest Skid Steers, Wheel Loaders & Attachments from some of the industry's leading suppliers. 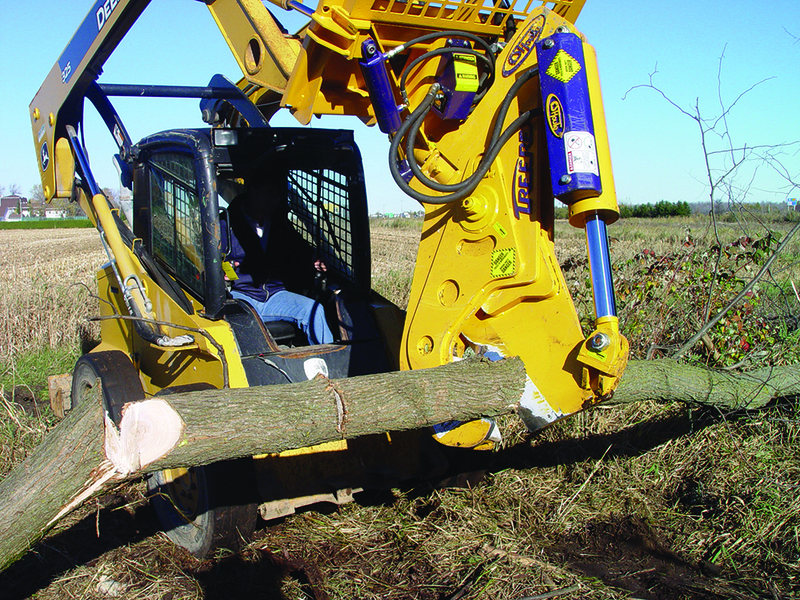 The most powerful tree shear on the market cuts trees or branches up to 16 in. in diameter. Its 90-degree tilt system allows for perfect cutting at all angles and is ideal for moving or carrying cut limbs. One will appreciate the “lip” design that acts as a retaining hook to keep the tree from moving away while cutting. The exclusive Teflon plate allows for a perfect cut eliminating the scuffing that occurs with dual jaw systems or grooved surfaces as found on common models. The whole assembly is made of high quality steel for longer service life and reduced maintenance, you won’t find anything as solidly built as the Treerex. Easily remove rocks, brush and other debris with Berlon Industries sturdy Skeleton Rock Bucket. 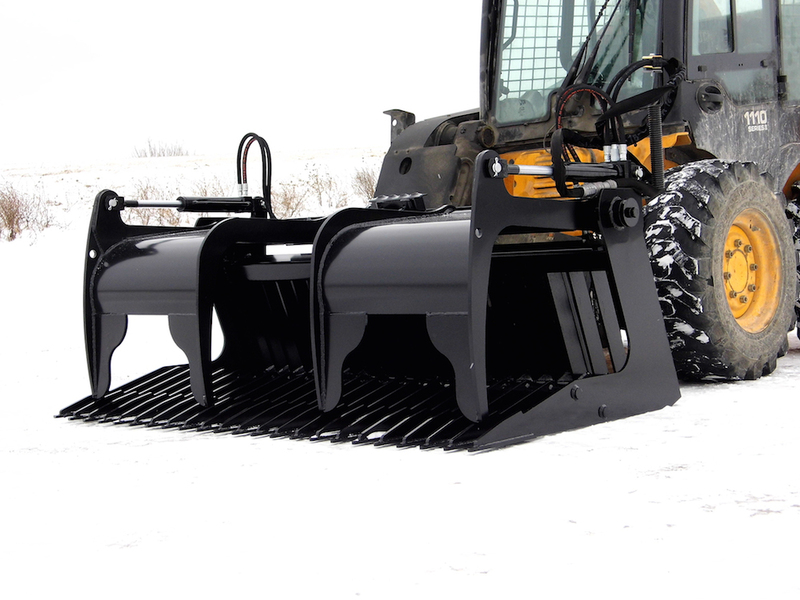 This skid steer attachment has 3/8-in. thick steel runners, spaced 3 in. apart, which allows wider objects to stay in the bucket while allowing dirt and other fine particulates to fall through. The deep well rock dam keeps rocks and debris in place when transporting or picking up more material. Two solid rod runner supports provide extra reinforcement. The Skeleton Rock bucket is available with or without a grapple and scrap ends. Both models are available in 60-, 72-, 78- and 84-in. widths. Call Berlon at 800-899-3580 for competitive pricing on all of your bucket and attachment requirements.